VOX has a history of pioneering electric guitar technology and started to produce electric guitars again in 2008. In 2008 Vox unveiled the semi-hollow Vox Virage DC (double cutaway) and SC (single cutaway), manufactured in Korea. 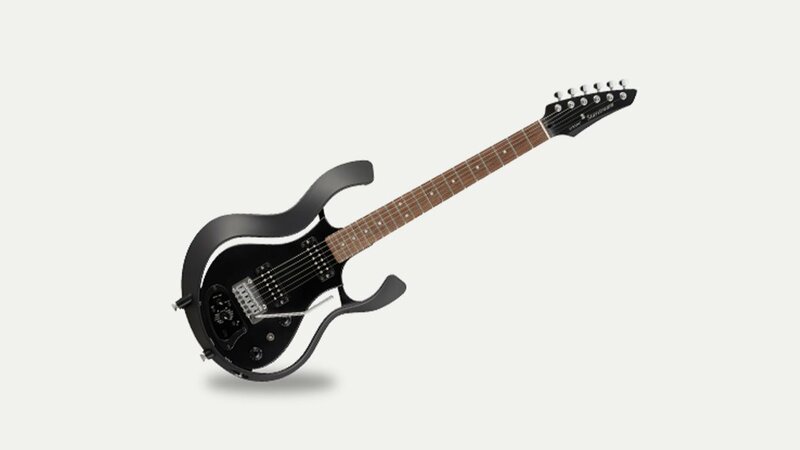 Notable characteristics include a 3D contoured ergonomic design which not only had an arch top but also bent back from the neck toward the base of the guitar hugging the player’s body. In 2009 Vox refined the Virage design with the Virage II series of guitars, which expanded the model range to include the Series 77, Series 33 and Series 55. Today they produce the innovative Starstream line and Giulietta line of archtop guitars. Vox’s first electric guitars, the Apache, Stroller and Clubman, were modelled after solid-body, bolt-neck Fenders, but in 1962 Vox president Tom Jennings commissioned the London Design Centre to create a unique new electric guitar – the pentagonal Phantom, originally made in England but soon after made by EKO of Italy. Their classic designs included the teardrop Mark VI, used by Brian Jones of the Rolling Stones; and the Phantom VI, used by Ian Curtis of Joy Division – both reissued in 1998. Vox had experimented with Japanese manufacturers at the end of the sixties with the Les Paul style VG2, and in 1982 all guitar production was moved to Japan, where the Standard & Custom 24 & 25 guitars and basses were built by Matsumoku, the makers of Aria guitars. These are generally regarded as the best quality guitars ever built under the Vox name. However, they were discontinued in 1985 when production was moved to Korea and they were replaced by the White Shadow models, although a number of White Shadow M Series guitars and basses are clearly marked as made in Japan, suggesting a phased production hand-over. Founded in Kent, England, Vox has been owned by the Japanese electronics firm Korg since 1992.